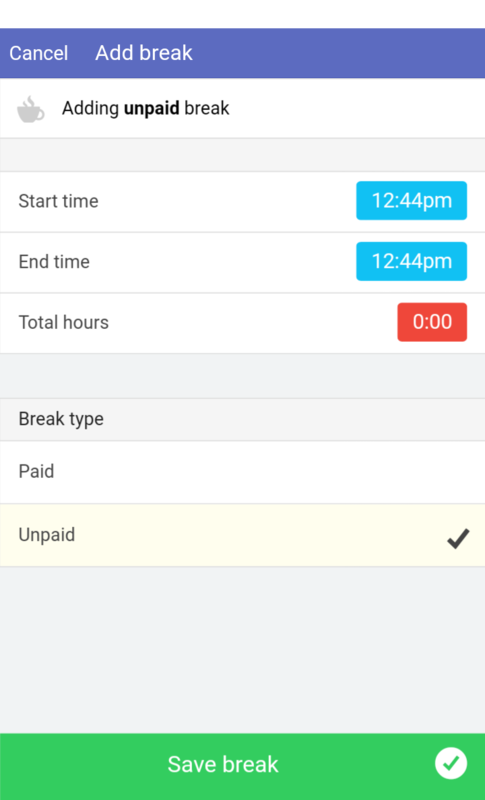 Adding breaks to your shifts is very simple. Once you're clocked in, click the Add Break button. To set the Start Time and End Time, just click on the respective blue times. Additionally, you may have the option to have paid or unpaid breaks. If you don't have the option, your break will be applied as unpaid and will deduct directly from that shift. Once you're all done, you can tap the Save Break button. 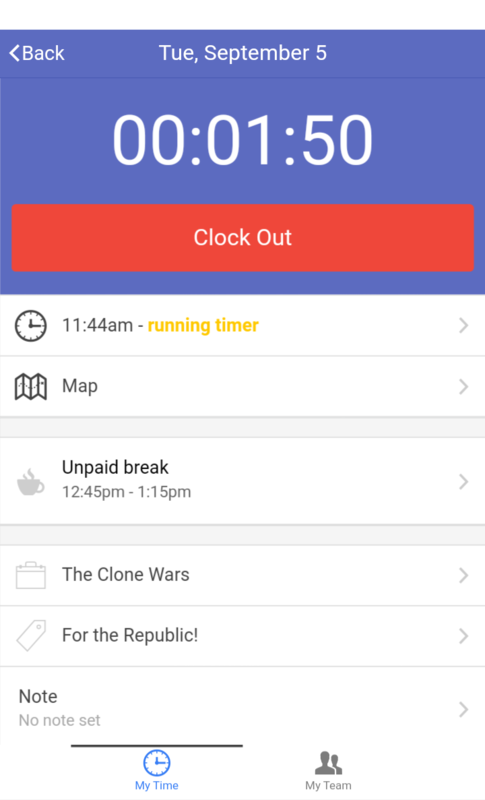 You'll then be taken to the shift page, where you can see that the break has been applied. 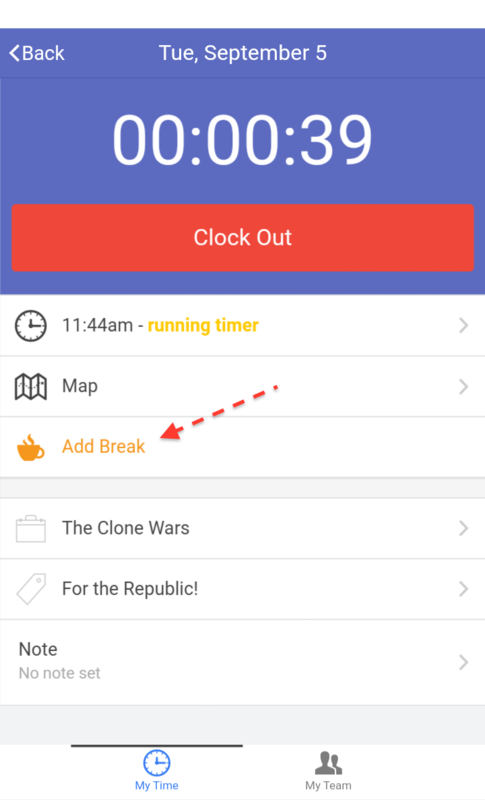 Feel free to let us know if you're having any trouble adding breaks! You can email us at support@buildingblok.com or give us a call Monday to Friday 9am - 5pm EST at 800-708-2565, we'll be glad to help!